This post is a little different of I’m using to write, but yet very useful for us engineers! It’s about how to compile octave to be able to load 16 or 32 bits colour images. First of all, what’s Octave? 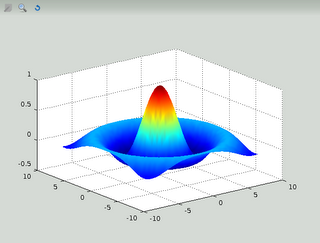 Octave is a gnu version of Matlab (and it almost compatible with it. Actually most of commands are identical, so migrating for Matlab to Octave should not be very hard. The official site is here! Ok, what’s the problem? The problem is that Octave uses GraphicsMagick (an image processing program) and by default it comes configured in 8bits in Ubuntu. So, we need to recompile GraphicsMagick to use 16 or 32 bits and then recompile Octave with the new GraphicsMagick. I’m using Ubuntu 12.04, Octave-3.6.3 and GraphicsMagick-1.3.12. 1) Download all packages needed. 3) Configure and install GraphicsMagick.If you want 16 bits set –with-quantum-depth=16! This entry is filed under computer vision, tools.